WWE is now advertising Universal Champion Brock Lesnar for an upcoming episode of their flagship show, Monday Night RAW. The Barclays Center’s official Twitter account has announced that Lesnar is set to appear on August 20th episode of RAW, which is the night after the SummerSlam pay-per-view event in the same venue in Brooklyn, New York. This could end up being an interesting date as it might just be his last appearance on WWE television for awhile. Lesnar is still under contract with the WWE until the end of August and it’s been reported that he’ll be working the SummerSlam pay-per-view event on Sunday, August 19, 2018 that will air on the WWE Network. As of this writing, WWE has yet to announce his opponent at this event. Lesnar is headed back to the UFC and has started the process to get back in the USADA drug-testing pool. With Lesnar back in the pool, he will still have to serve a little more than six months left of his previous suspension. Thus, he is not able to fight inside of the Octagon until early January, which is around the time that this fight is rumored to take place. Once he is eligible to fight again, he’s slated to challenge Daniel Cormier for the UFC Heavyweight Title. 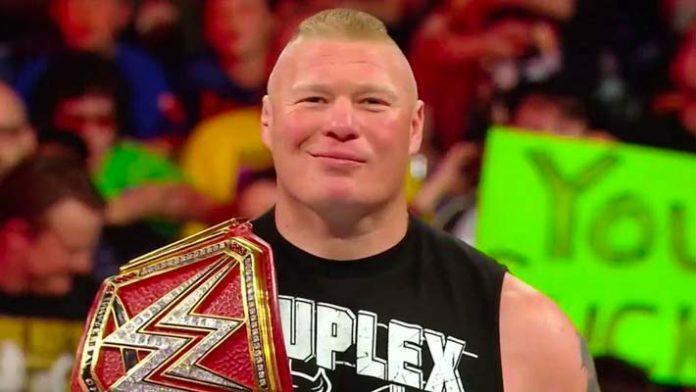 What are your thoughts on the appearance of Lesnar on this show and his future with the WWE?